2/11/2019 | James Choquette, Vice President, Duct & Vent Cleaning of America, Inc. | Michael Vinick, President, Duct & Vent Cleaning of America, Inc.
Duct & Vent Cleaning of America, Inc. was tasked with cleaning over 2.5 miles of ductwork along with 11 air handling units and all registers & grills in one month’s time at the newly built $43 million, 94,000 square-foot Stamford Police Headquarters building. 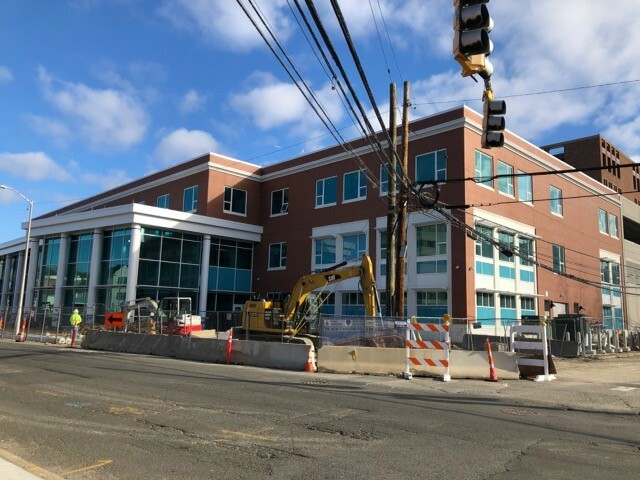 The project began when the police headquarters was being evaluated towards the end of the construction project by the general contractor, engineer and town representative. The ends of the ductwork were protected with plastic during all phases of the project. This includes during delivery to the job site, in storage while awaiting installation, during the installation process, and after it was installed awaiting the completion of the project. Although several efforts were made to protect the ductwork, visual inspection of the duct systems and mechanical components revealed a significant build-up of construction dust and debris which prompted building officials to ensure the ductwork and mechanical components were properly cleaned before the new building was opened to police personnel. Duct & Vent Cleaning of America, Inc. strives to “Improve Lives through Duct Cleaning” and understands the health benefits of duct cleaning and importance of clean indoor air. Duct & Vent Cleaning of America, Inc. meets and exceeds the standards and specifications set forth by NADCA, the HVAC Inspection, Cleaning and Restoration Association.